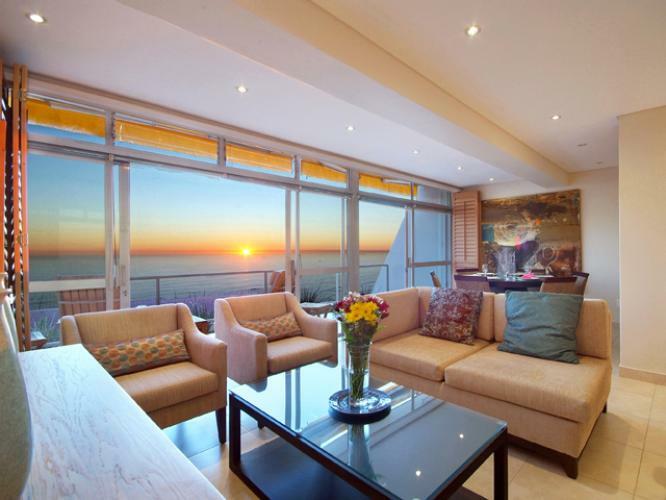 The following highlights 5 luxury 3 bedroom holiday villas in the beach-front suburb of Camps Bay in Cape Town. All luxury villas exude international style and appeal. 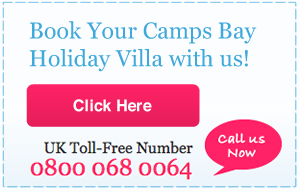 These holiday villas range vastly in size, price and in the levels of luxury they offer – from small ‘beach bungalow’ type villas to huge and exceptionally luxurious villas laid out over up to six levels and accommodating large groups of people. Camps Bay is known for its luxury rentals, and consequently has a bit of reputation for being ‘out-of-reach’ for most people. That may be true of some of the top villas, but many of the smaller villas, beach-houses and apartments are very affordable – or alternatively worth breaking the bank for! 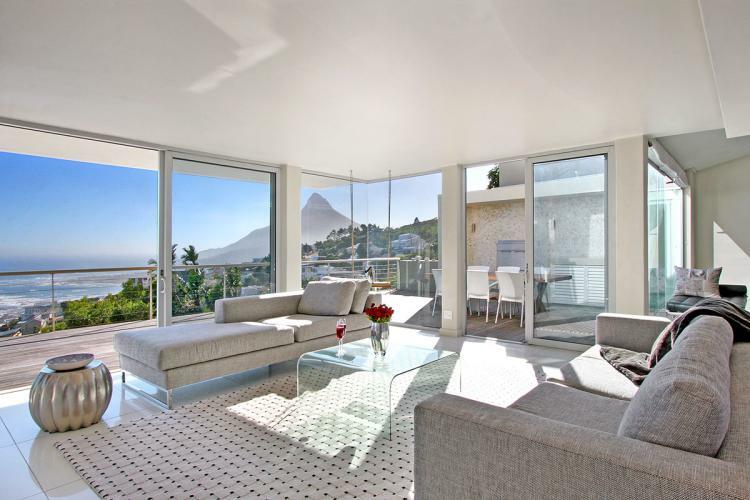 We have chosen five 3 bedroom holiday villas in Camps Bay in the size ‘mid-range’ – all villas sleeping up to six people in various locations in Camps bay – from very near the beach to secluded villas situated higher up the hill. All villas feature incredible views of sea and mountains, luxury appointments, beautiful architecture and décor, and the holiday of a lifetime in Cape Town. 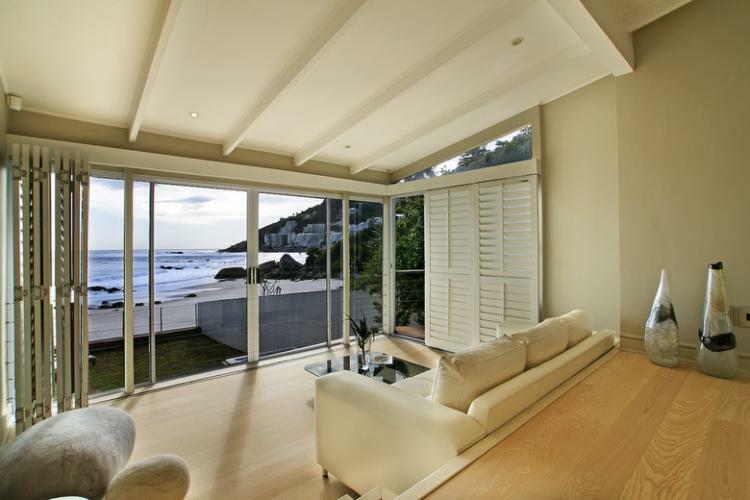 The first two villas we’ve chosen to highlight of these are situated on Clifton’s 3rd Beach. Although Clifton is officially a separate suburb to Camps Bay, it is in fact right next to Camps Bay and is ‘commonly regarded’ as part of Camps Bay when it comes to holiday rentals. Clifton is a residential beach suburb only, fronting four of Cape Town’s best beaches with no shops of its own and only one tapas bar/ restaurant. 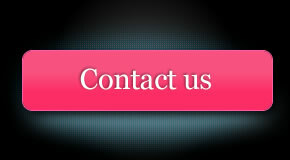 Clifton also offers the most prominent beach-front villa rentals for the area. It is only a minute’s drive from Clifton to Camps Bay’s commercial area with most of its shops and restaurants and its famous ‘beach-front’ Promenade. Fairhaven is a 3 bedroom holiday villa situated on Clifton’s 3rd Beach. Fairhaven doesn’t come cheap, but the location makes every cent worth it. This pretty beach house villa is literally metres from the beach –with only ten steps taking you from the wooden deck (with Jacuzzi) down onto the sand. The décor is fresh, airy and typically beach house, complete with beach-house on the expansive windows. The sweetly named Wixy is another luxury 3 bedroom holiday villa also offering private access to the beach, liberal use of shutters over huge windows and everything you could want from the perfect beach house holiday in Cape Town. Wixy sleeps six people and bedrooms are en-suite. Like Fairhaven, there’s no pool, but there is an outdoor Jacuzzi, from which you can enjoy views over the beach and balmy sunsets in paradise. 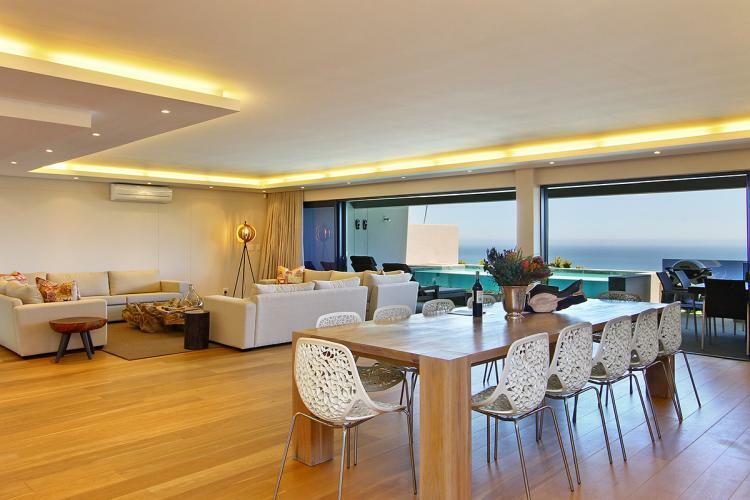 Villa Combrink is laid out over three levels, with one level entirely given over to an indoor / outdoor entertainment area with a second kitchen, panoramic views over the sea, beach and the Camps Bay promenade. All three bedrooms have full sea views. Belize is a beautiful 3 bedroom holiday villa with a swimming pool, lush greenery and tropical paradise vacation feel thanks to the décor. The villa is double-story and all 3 bedrooms have private balconies and sea views. Belize is situated only 120 metres from the beach and the main drag with its upmarket restaurants and shops. 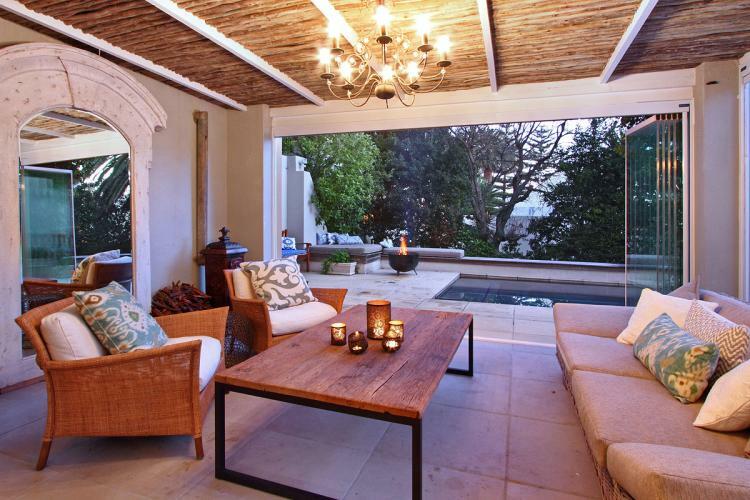 One of the loveliest 3 bedroom holiday villas in Camps Bay! Named after the famous movie that became a symbol of romance and exotic elegance, Casablanca is easily one of Camps Bay’s most beautifully decorated and appointed holiday villas. Spacious and airy, relaxed open-plan comfort and luxury are rolled into one in this lovely 3 bedroom holiday villa. Casablanca sleeps six people and is aptly furnished throughout with wood antiques interspersed with modern ‘beach-house’ furnishings. Another special feature of this villa is two swimming pools – and the magnificent views which are ‘de rigeur’ for Camps Bay. 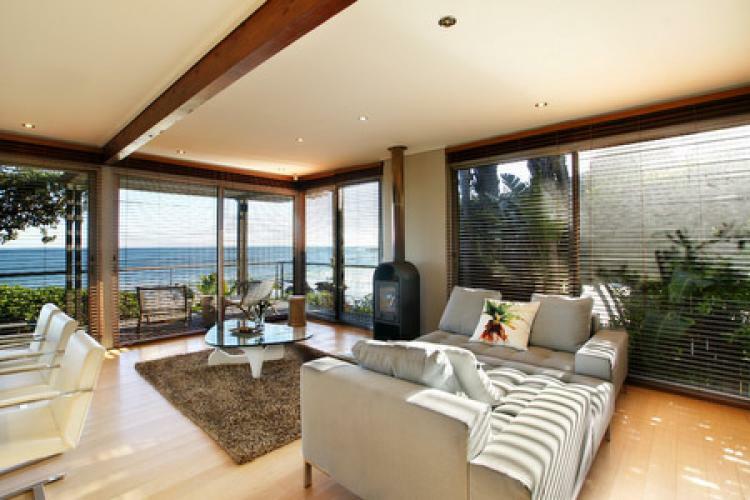 The above examples are typical of the mid-range 3 bedroom holiday villas and beach houses available as holiday rentals in Camps Bay and nearby Clifton, but they by no means offer comprehensive insight into what is available in Camps Bay. There are literally hundreds of holiday villa and apartment rentals in this very sought-after suburb. Camps Bay is simply stunning! It is also only a five minute drive away from Cape Town and the V&A Waterfront, and a 20 minute drive to Hout Bay in the other direction along a coastal road. But the villa rentals are so beautiful, so comfortable and so luxurious, the views so breath-taking, the beaches so appealing and the restaurants so good – you’d be forgiven for never wanting to leave this holiday enclave in Cape Town.